Picture this… It’s the end of the month and you and your partner sit down to a pot of freshly brewed tea. Fresh-baked scones have just come out of the oven and the smell is permeating every corner of the house and your rosy-cheeked children are playing happily at your feet. You sit at the kitchen table with your excel spreadsheet before you and a stack of neatly logged receipts and paid bills and admire your handiwork as you put the finishing touches on last months budget success. In every category you have managed to spend less than your allocated amount. There were absolutely no unexpected expenses. No root canals, or parking fines or hot water systems needing to be replaced. And, best of all, you managed to pocket hundreds in savings. You gaze lovingly into the eyes of your partner. And has never been your experience of budgeting? I hear you. It’s one of the reasons we hate the word ‘Budget’. The truth is people can stick to a budget about as well as people can stick to a diet. And there are definite similarities between the two – both usually take on a rigid structure and not a customised, dynamic approach that takes into account life’s variables. While an excel spreadsheet budget is certainly better than nothing, it’s a pretty blunt 2-dimensional instrument that will tell you it’s possible to spend less than you earn but doesn’t show you how. Budgets don’t factor in a really crucial piece of the puzzle: TIME. The truth is people can stick to a budget about as well as people can stick to a diet. 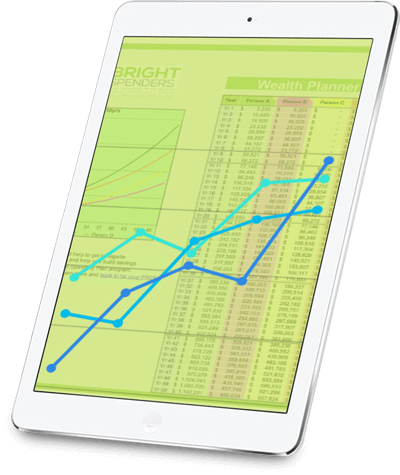 Excel spreadsheet budgets are generally based on either the month or the year. The problem with this is that most expenses don’t fit neatly into a month or a year. Think about how often you need to replace car tyres (2-3 years), Car batteries (3 years), driver’s licenses (1,5 or 10 years), fridges (10 years), hot water systems (10 years). How then do you factor such things into an excel spreadsheet budget? You can’t. At least not simply and easily. A comprehensive spending plan, on the other hand, factors in the most crucial aspect of budgeting: Time. It takes all of those longer term expenses with the exact dates that you’re likely to need them and then does all the number crunching and makes sure that you have the right amount of money in your account on every day of the year to cover all of these things. A spending plan is also something you check in with on a weekly or daily basis rather than leaving it to the end of the month. A month is way too long and all manner of sins can transpire over the course of a month making it really difficult to stick to a budget long-term. Our best clients get into a routine of doing a weekly checkin with their Spending Plan and this keeps their finances in tip-top shape and them feeling in control. In the beginning you might want to spend a bit more time checking in until you feel that you can trust the system implicitly. It won’t take long before you do. Lulu is another of our bookkeeper clients who was using Excel for her family finances. When her husband Chris had a career change and drop in income she knew that they really needed to get more control over their spending so that their hard earned savings didn’t slip through their fingers, while Chris wasn’t earning as much. Once we’d factored in all of their regular, irregular, unpredictable and long-term expenses into the Spending Planner Lulu and Chris were able to see their total outgoings clearly against the income they were generating. They could see where they were going to end up if they continued on the trend of overspending, and they were able to make some decisions about what they were going to prioritise and what they were going to cut. Where they had previously disagreed about what they should spend their money on, Chris and Lulu were able to objectively look at their Spending Plan and make good sound decisions together, leaving them feeling unified in their partnership. With their Spending Planner in place Lulu and Chris can now see exactly what they have as discretionary spending money and they now know how to live within their means until Chris’ new job brings in as much money as he was previously earning. Both of them agree that this is a huge weight off their shoulders. Putting a bit of money away for unpredictable (undated) expenses like clothing, medical, car repairs and also longer term replacement costs for items is often where people fall down. They make sure they have enough in their accounts for the obvious dated bills, but go hazy around the things that don’t have a date and a specific amount of money attached to them. Run your numbers through our Snapshot Tool as a first step. Discover how much you need to set aside for long term and unpredictable expenses over say 2 or 3 years by running your expenses and income through our Snapshot Tool, then break up this amount into a monthly or two weekly amount and create an automatic transfer into a separate account for these ‘rubbery’ type expenses. Separating out your finances and putting up fences around your money is a crucial piece of the puzzle. Three separate accounts is generally what most people need – One for bills, one for rubbery expenses and one for weekly expenses like groceries, fuel & weekly fun. Once you’ve separated out these costs and you ‘live’ from your weekly spending account you’ll find it much easier to keep in control of your spending. Once you’ve put fences around your money, you’ve factored in the essential time part of the equation, and you checkin weekly, then you’ll have made massive inroads into wrangling the budgeting beast. Learn the 3 Secrets to Saving Faster and the System That Over 30,000 People Now Use To Manage Their Money Stress Free. Ready to ditch your debt and start saving? We can answer your questions and show you how easy it is. BEFORE YOU GO WOULD YOU LIKE A COPY OF OUR SPECIAL REPORT? OVER 30,000 PEOPLE DO THESE TO SAVE FASTER.